The WHY, also known as the definite major purpose in Napoleon Hill’s Think and Grow Rich, is the starting point of all success. Without a clear why, you will not develop the necessary persistence that’s required for you to succeed as an online entrepreneur or in any worthwhile endeavor. Entrepreneurship is a journey that happens in 3 stages: DREAM, STRUGGLE, VICTORY. Struggles are meant to make you stronger and become the person that you can be to accomplish your dream. Victory happens when you have overcome all your struggles to receive the outcome that you are looking for in your life. Remember that success is a journey and it only happens in the fringe of fear. Let success happen to you. Don’t chase after success or the money since it is the by-product of serving people in your business. According to the Book of Wealth, your wealth is directly proportional to the number of people that you can serve. If your main focus is on adding value to people, you will do well in your business. When the WHY is big enough, you will figure out the HOW and the WHAT. When I started my online business back in 2010, I didn’t know anything about the industry. I just had a strong desire to be in control of my life. I didn’t make any money for the first couple of months until I made my first commission from an eczema ebook which was about US$20. That was when I knew that it was possible to make money online. Better tools will come along the way. The secret lies in taking the first step to do something. Here’s a phenomenal ted talk by Simon Sinek which will elaborate on this topic, also known as the Golden Circles. Now that you are aware of the importance of WHY, let’s look at how you can identify your WHY with relative ease. Here’s a simple 3 step formula that I have used to identify what truly matters in my life and come up with a masterplan on how I want to live my life which is my WHY for doing what I do. Life can be summed up in 3 words, Experience, Growth and Contribution. I would encourage you to spend the next 25 minutes to watch the video below and start designing your life. Don’t worry if you can’t write down many things. Simply let your thoughts flow..
You can always review the list and add new things to it whenever you get inspirations. This exercise is a lifelong process. It’s not something that you do once and chuck it aside since your life is always evolving and there will be new things that you want to do with it. 1. What do I want to experience? 3. What do I want to contribute to the planet? The next logical step is to move on to determine the HOW and the WHAT, also known as means goal to reach your desired outcome in life that you are looking for. What Is Your DNA? The Value Determination Process.. This process is invented by Dr. John Demartini and it’s available for free on his website. It will help you to identify what you truly value in life so that you can find something that’s congruent to your highest values where your genius lies and create a career out of it. There’s no 2 person with the same exact values. Therefore, it is important for you to spend some quiet time to do this exercise truthfully and not try to impose other people’s values on yourself. For example, I have a friend who has a very high value on Parkour, his vision is to inspire people through movement exercises to live healthy lives. Hence, he is pursuing a career in personal fitness training where he applies what he has learnt from his training in Parkour to help his clients become healthier through movement exercises. Since he is doing what he loves to do, he gets paid very well for it without ever feeling stressed out. This is a classic example of what it means to figure out your why and the how and what falls in place. In my case, I found out that my top 3 values were online marketing, business and personal development. That’s when I came up with the vision of unleashing your entrepreneurial spirit with this website that you are currently reading. 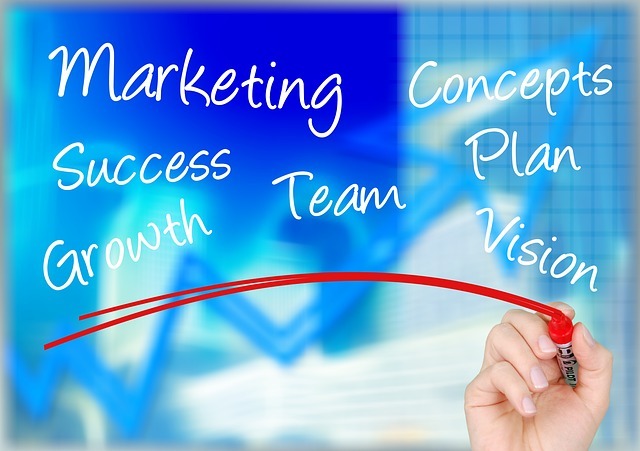 It ties in beautifully with my interest in business and online marketing. Therefore, it’s a perfect fit for me as well. This will provide you with the means to accomplish the end goals that you have defined previously. After you have figured out your WHY, HOW and WHAT. It’s time to set goals for the attainment of your desired life. 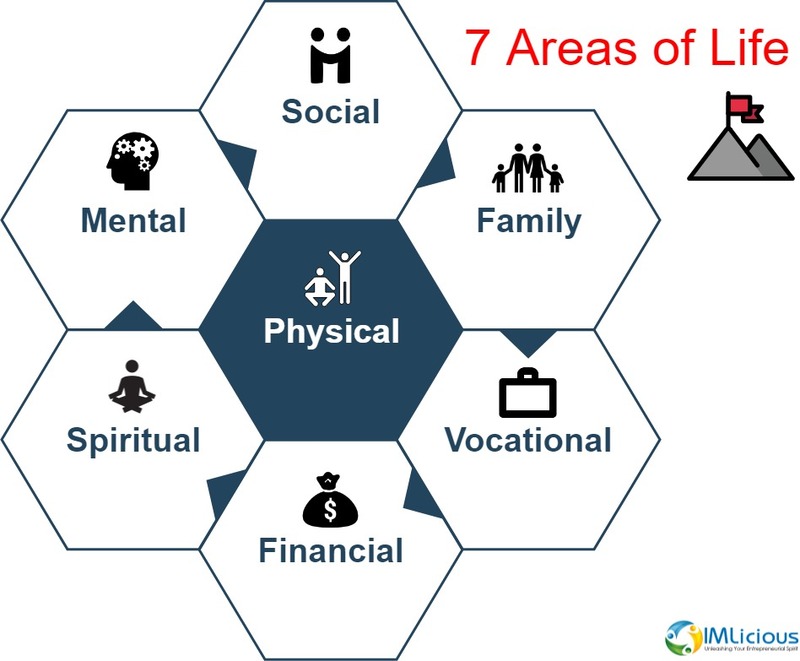 Once you have classified your end goals into these 7 categories. You should put a reasonable time frame for the attainment of each goal. Once you have written down the goals, you should break down each goal into smaller steps in a sequence that makes sense. Add a reasonable milestone for the attainment of each step. Any step that you feel uninspired to do, you should ask the question, how by doing this specific step, will it benefit my top 3 values? Write down the benefits till you feel inspired to do it. Remember that there are both benefits and drawbacks in everything that we do. In this example, my first priority action to accomplish my goal would be to allocate 3 hours a day for writing the topic. By breaking down the sequence of steps that is necessary for the accomplishment of your goal, you will be able to start taking small steps which will build up to the attainment of the goal. Be sure to have goals for every area of your life so that you will not feel that something is missing. I wasn’t looking after my health previously when I was embarking on my online business. As a result, I ended up having a stroke as a wake-up call for me to take care of my health. Therefore, I don’t want the same thing to happen to you. 1. Have 1 goal for each area of your life. Start with small items, short term goals. 5. Place your vision board beside your bed so that it is the first thing that you see when you wake up in the morning and last thing that you see before going to bed. When you see it in the morning, it will set you up for success throughout the day. When you see it as the last thing before you go to bed at night, it goes into your subconscious and allows you to visualize and picture having those things in your life. Place it at your eye level. Stand right in front of it and look at it in the morning when you wake up and in the evening before going to bed for a few minutes. Tell your brain that you want these things, make it happen. 6. It is normal for your brain to give objections, fears and doubts when you look at your vision board. Get those objections, fears and doubts out of your head by simply writing them down on a piece of paper till your head feels empty. Then destroy that piece of paper to send a message to your subconscious mind that you are in control. This will open your mind to receive inspirations and action steps to accomplish those goals. You don’t need to know the how. 7. When you look at your vision board and receive ideas, be sure to write them down. Take action on those ideas. Don’t doubt. 8. Vision board is for short-term goals. Dream board is for long-term goals or bucket list type of goals. Put those boards side by side. 9. Document your success and celebrate your wins. On the last day of your life, you are going to be asking yourself a question, did I do everything I could with everything I was given, you want to be able to say YES, I gave it my all.